The best performances and moments of four brutally brilliant days. Another Bloodstock has been, gone and done, and the post-festival blues are already beginning to set in. Especially when you look back and consider how utterly fantastic this year’s edition was. 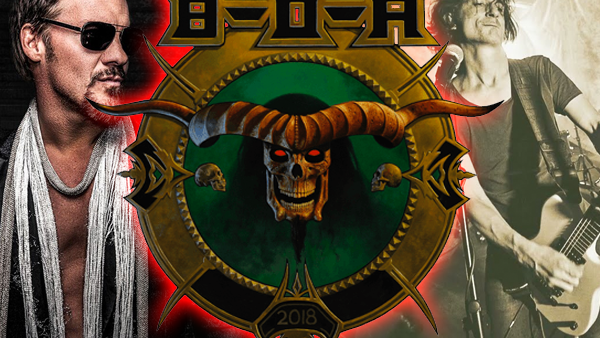 In 2018, the UK’s best pure metal festival gifted its 18,000 attendees with a stacked four-day line-up jammed full of heavy favourites, all peaking with the three main-event headliners of Judas Priest, Gojira and Nightwish. It was a constantly exciting weekend of alcohol and fantastic music, spread out over the three Ronnie James Dio, Hobgoblin and Sophie Lancaster stages. To help ease the feelings of sadness about such magnificence coming to an end, there couldn’t be a better time to revisit the sordid aural occurrences of Derbyshire’s Catton Park from the 9th through to the 12th August, picking out the best and most noteworthy moments to make festival-goers feel all warm and fuzzy inside, while also making everyone that missed it remarkably jealous. Bleed from Within have just played the best show of their careers; Suicidal Tendencies + small tent = near-death experience; Emperor’s Anthems to the Welkin at Dusk is a timeless classic; Power Trip are the future of thrash metal; After Firepower, Judas Priest are on the best form of their career.